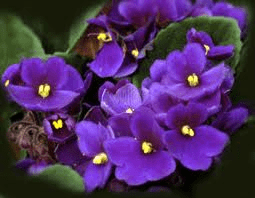 The African violet is a household plant with purple flowers. The leaves are often susceptible to wilting as a result of temperature extremes, diseases, and mistakes in plant care. African violets enjoy warm weather, but extreme heat can cause them to wilt, especially if the heat is dry and not accompanied with enough humidity. According to the Holtkamp Greenhouses website, African violets need warm temperatures with humidity in the 70 to 80 percent range. Cold weather stunts African violet growth, and as a result, leaves tend to wilt. Cold temperatures may also cause the plant to die. According to Dr. J. Raymond Kessler of Auburn University, plant diseases can take a toll on African violet leaves, prompting them to turn soft or droop. African violets are especially susceptible to crown rot and root rot, which occur as a result of a fungus. 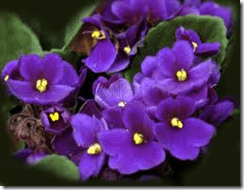 Watering African violet plants too often, in addition to water retention, leads to leaf wilting and plant death. According to horticulturist Ron Smith of North Dakota State University, African violets can contract crown rot fungus from too much water or from sitting in plant containers that retain too much water.